China, Russia and India say they will continue to buy petroleum from Iran, despite U.S. sanctions that would prohibit those sales, although banking difficulties are hampering their ability to invest in the Islamic Republic’s oil fields. Asian oil investors in Iranian projects in recent months discovered that they couldn’t rely on their usual banking partners in the United Arab Emirates to transfer funds for projects in Iran. That has delayed several deals worth billions, according to foreign development officials and people at the companies involved. Tuesday marked the start of a transition period that gives oil companies until Nov. 4 to adjust to a returning U.S. ban on buying and investing in Iranian oil and gas—the country’s most lucrative industry. The move followed President Trump’s decision in May to pull out of the nuclear agreement with Tehran. “Anyone doing business with Iran will NOT be doing business with the United States,” Mr. Trump said in a predawn posting Tuesday on Twitter. Oil companies have been given until Nov. 4 to wind down purchases of Iran oil or investments in the country’s fields—or else face U.S. sanctions. China, Russia and India have been boosting imports of Iranian oil since earlier U.S. sanctions were lifted in January 2016, as a part of broader deal on Iran’s nuclear ambitions. Just as Mr. Trump was issuing his warning, a delegation from China Petroleum & Chemical Corp. , or Sinopec, a Chinese state-owned oil company, was negotiating a $3 billion investment in a giant Iranian oil field in Tehran, according to Iranian contractors and a Sinopec adviser. The project, in the Yadavaran oil field, could generate as much as 100,000 barrels a day. Sinopec had initially hoped to complete the deal in July, according to people close to the company. But they say Sinopec is now struggling to find appropriate banking channels for the transaction. Chinese companies often use banks in Dubai to transfer money to Iran, but banking authorities in the United Arab Emirates financial center have begun in recent months to crack down on transactions destined for Tehran. The U.S. Treasury Department said last month that it had helped break up a network funneling illicit funds through the U.A.E. to Iran. Similar issues have arisen for China National Petroleum Corp. The state-owned company has an option to invest $1 billion in an Iranian natural-gas project. France’s Total SA had pledged to put up the money, but the company is now considering exiting the deal due to U.S. sanctions. The problem for CNPC, said a company official: “Banking goes partly through Dubai” for its Iran business. “We are having lots of issues,” the official said. Russian state-owned oil company Zarubezhneft JSC agreed in March to a preliminary a $700 million contract to develop two small fields in Iran. The company had promised to complete the deal in June but has continued to delay the agreement, according to Iranian contractors involved in the project. Zarubezhneft JSC didn’t return a request for comment. Talks with India’s state-run Oil and Natural Gas Corp oration Ltd. to enter a $900 million onshore field and a $6.2 billion natural-gas field in the Persian Gulf have also yet to bear fruit. ONGC didn’t return requests for comment. Indonesian state energy company Pertamina provides another example of the uncertainty troubling investment in Iran. In March, the company said it won the tender to get an 80% stake in a $6 billion oil project that could generate 200,000 barrels a day. “It makes no difference” if Mr. Trump reinstate sanctions, Indonesia’s ambassador Octavino Alimudin told The Wall Street Journal that month. “We are the alternative” to European companies, he said. In early May, a Pertamina team arrived at a Tehran oil conference and told its Iranian counterparts it would sign the final investment deal that week at a public ceremony, according to people involved in the talks. 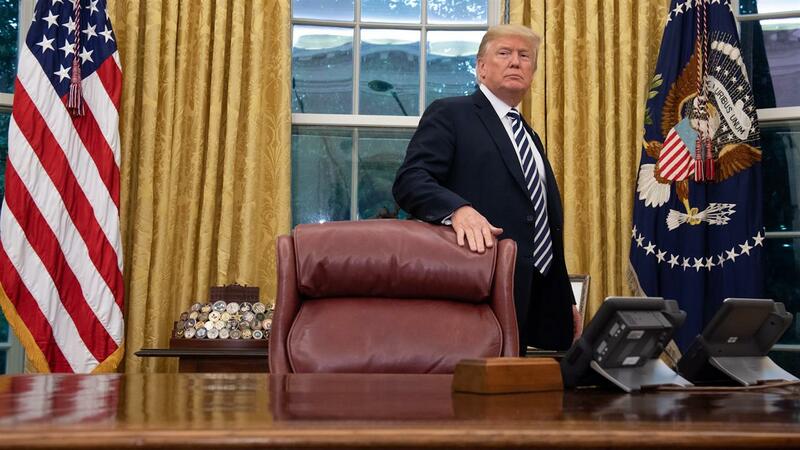 The transaction was supposed to close on May 9, but Mr. Trump took Iran by surprise on May 8, announcing he would bring back sanctions, days before a self-imposed deadline of May 12. The Indonesian delegation left the trade fair and flew back home. Three months later, the deal has yet to be signed. A Pertamina spokesman said it had yet to decide on the investment and said the company was worried about returning U.S. sanctions. Iran’s oil ministry didn’t return requests for comment. Mr. Alimudin didn’t return a phone call. —I Made Sentana in Jakarta contributed to this article.